Here at Active Rent-All we have knowledgeable staff for advice on rentals, sales, service and delivery, plus we are the Authorized Sales & Service Dealer for Echo Power Equipment, Bearcat, Praxair distributor, Hilti and Landa. We also provide manlift, scissorlift, forklift training and certification courses. The goal and vision of Active Rent-All is to provide highly maintained reliable rental equipment to all of our valued customers, whether it is construction, industrial or residential. Our inventory is always expanding and being updated; if we don’t have what you are looking for, we will find it for you. 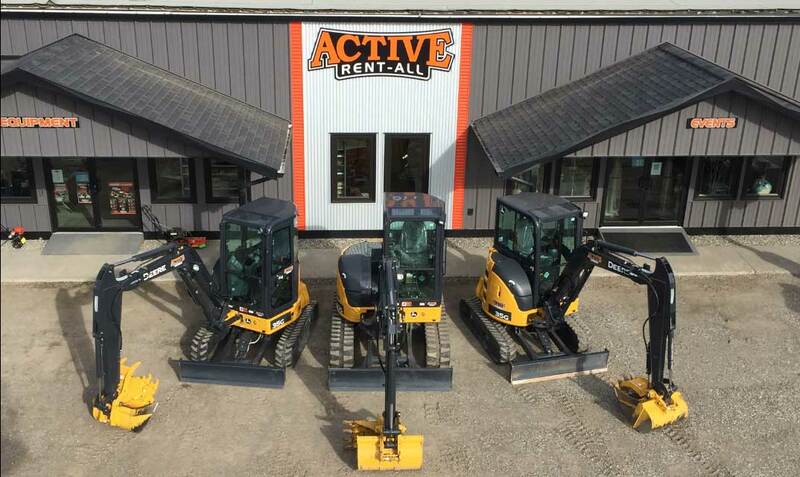 Active Rent-All is dedicated to serving your rental needs with quality equipment & value for your dollar. Please feel free to call or stop by with any inquiries as we look forward to assisting you with your needs. Servicing Quesnel and area since 1974, Active Rent-All is locally owned and operated by Mark and Laura Sauve, proud to be a community sponsor, supporting numerous sports and local events. Thank you for your past business, hope to see you soon!